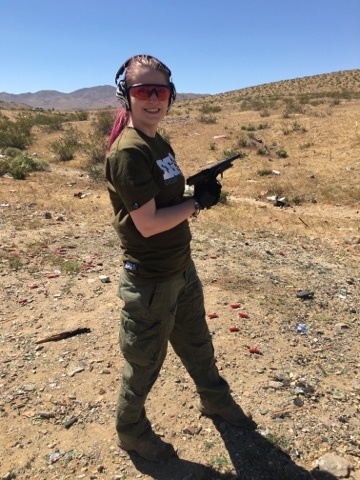 So we all know a trip to the States wouldn't be complete without a trip to the range, so Leah and Jet kindly took me to a range to learn firearm basics and get some shooting time in. 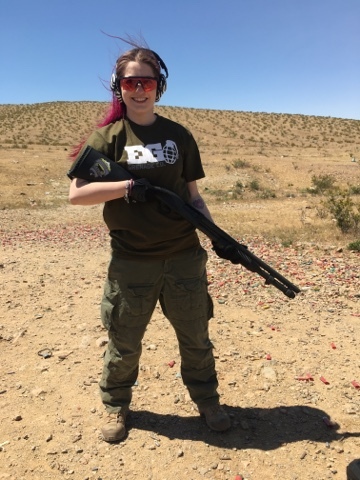 As I live in the UK and firearms are hard to come by because of our laws, I was super excited. I have shot .22 rifles and an AR15 before but nothing bigger than a 5.56mm. 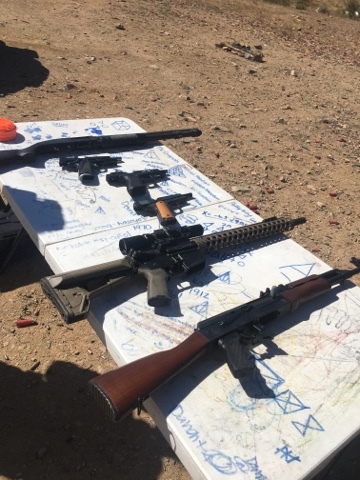 During our trip to the range I got to shoot a whole selection of firearms of different calibres including: a .45 Rock Island 1911, a 5.56mm AR15, a 7.62mm AK47 and a 12 Gauge Shotgun. 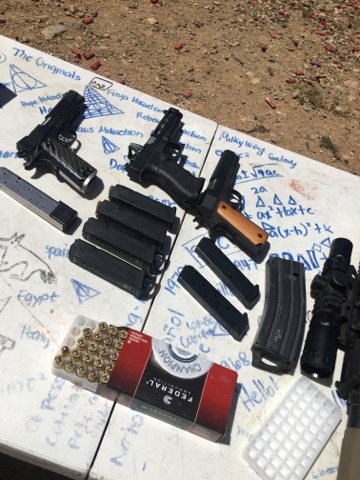 A great variety of platforms and calibres. 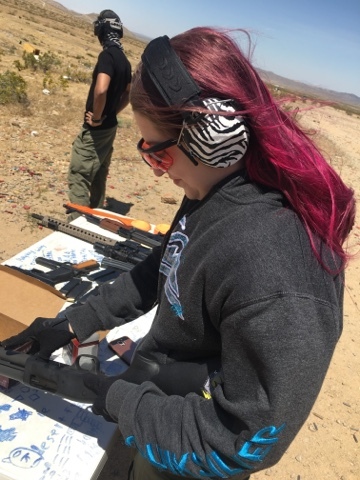 *Please take into consideration that I am complete beginner before you roast me about my grip/stance. 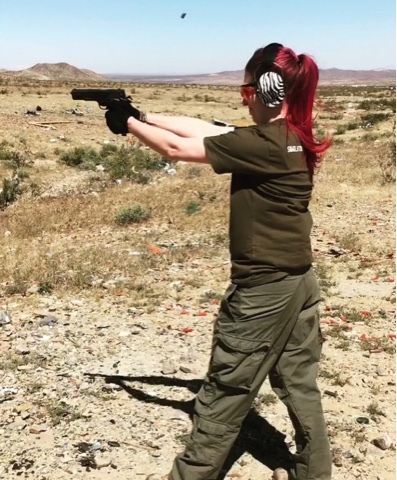 I am always a little nervous around firearms as I haven't had much exposure to them and it was no different this time. 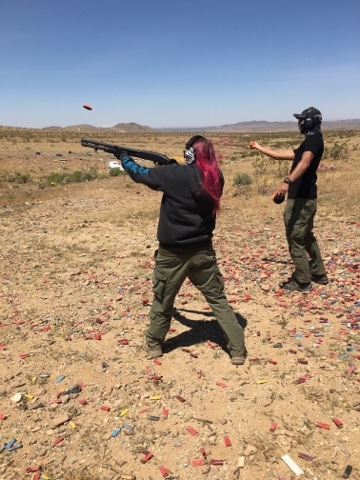 The shotgun is what made me the most nervous, because I had watched one too many gun fail videos, you know the one - the one of a lady on a range where the shotgun flies backwards out of her hands! 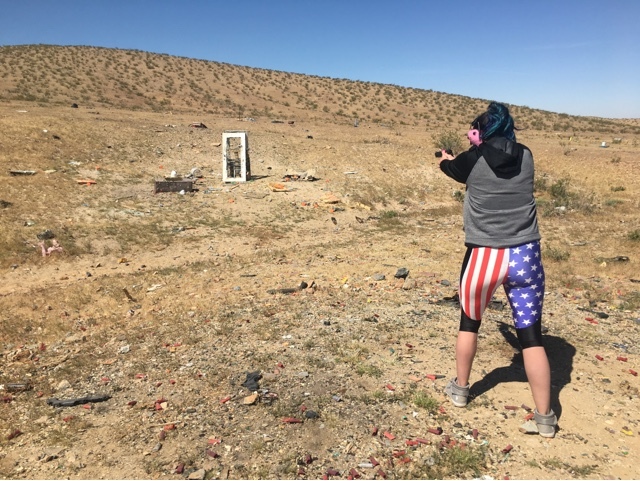 It turns out I didn't really have anything to worry about as long as I followed the basic rules and had a secure grip on the firearm. 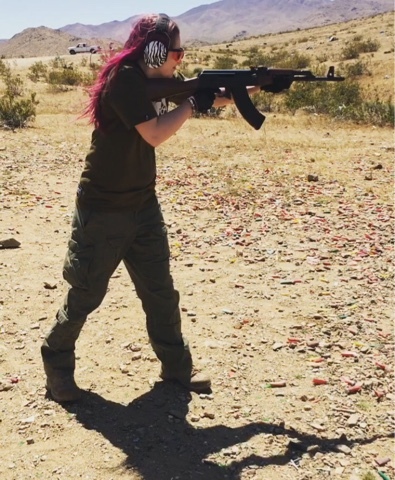 I really enjoyed my day on the range! 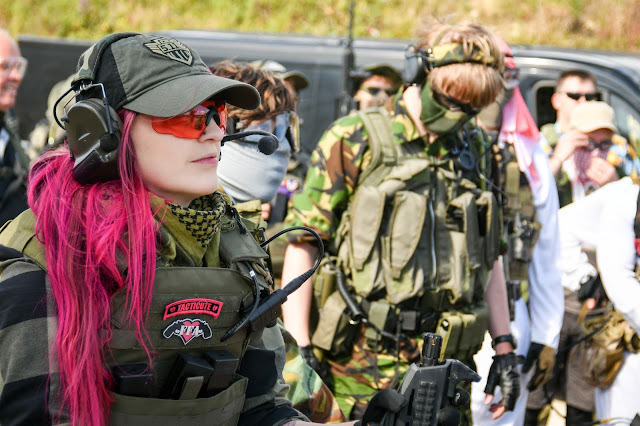 Thanks to Jet and Leah for taking me shooting. 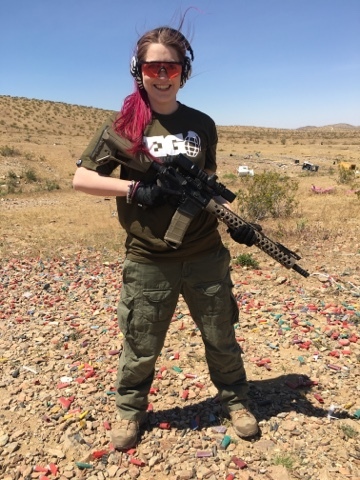 I can't wait until my next trip to the range! L-R 12 Gauge Shotgun, .45 1911, 9mm Glock 19, .45 Rock Island 1911, 5.56mm AR15 and 7,62mm AK47. 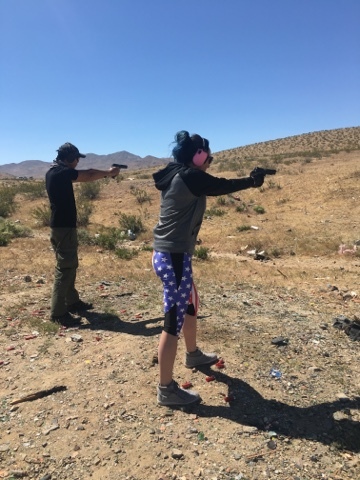 Couples that shoot together, don't shoot each other?